Living Sq. Ft. : 2489 s.f. Total Sq. Ft. : 3383 s.f. 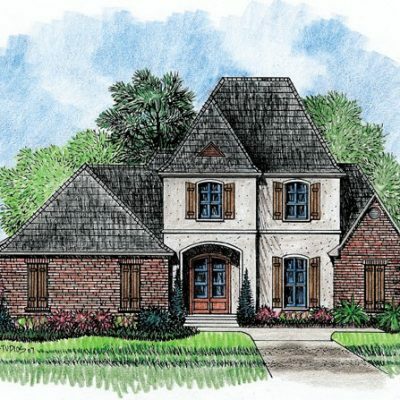 The Therodore is a stylish Louisiana inspired Country French home plan. 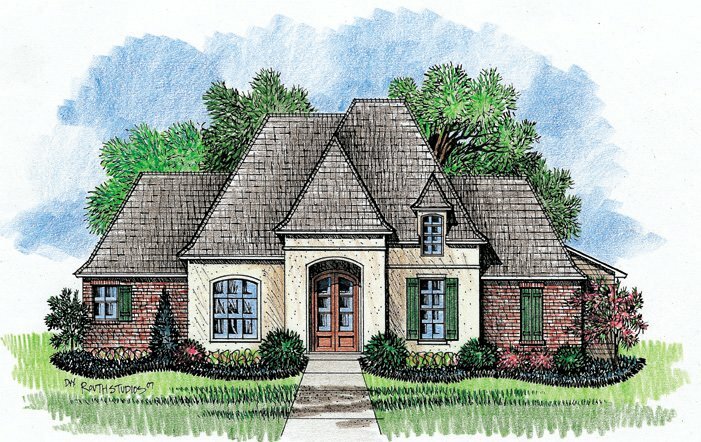 The front of the home has a unique feel with one dormer offset to the left. 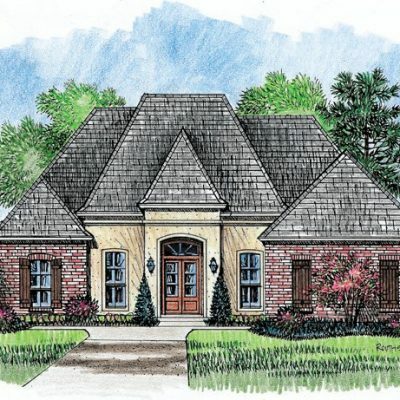 You will be happy to come home to this house plan everyday. This home has a rear carport with attached storage area and a sheltered rear porch. 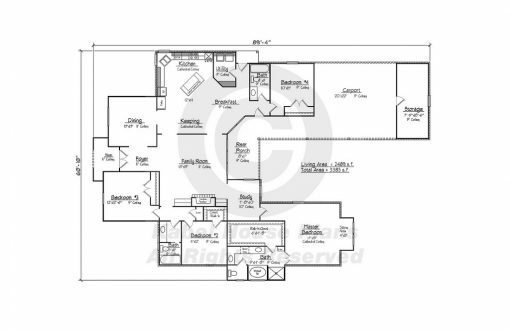 Inside, you will find four bedrooms. The master bedroom in the house plan has a private sitting area and good sized walk-in closet with a whirlpool tub in the bathroom. The kitchen is 12’ x 14’ with an angled island / bar and cathedral ceilings going into the keeping room. 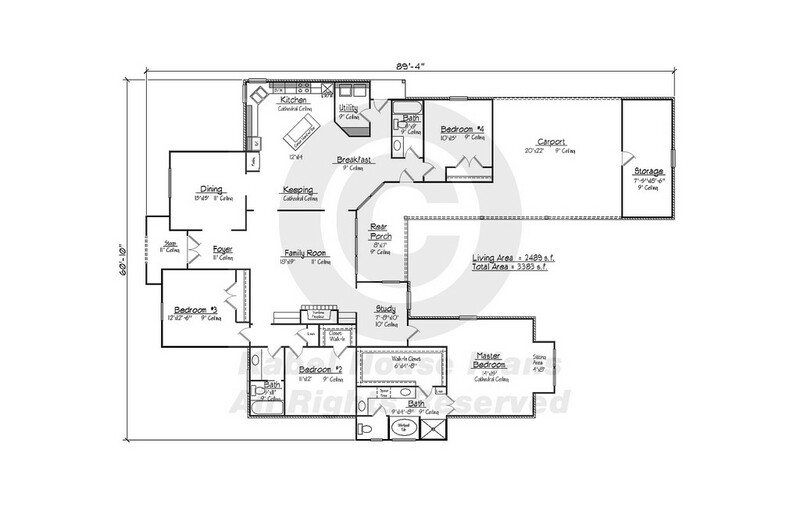 The kitchen is attached to the formal dining room and breakfast area. 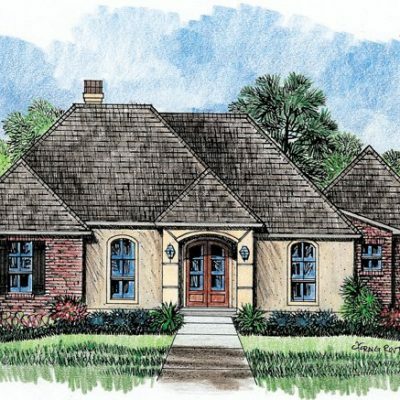 The family room is 18’ x 19’ with 11’ ceilings and a fireplace surrounded by built-in cabinets. 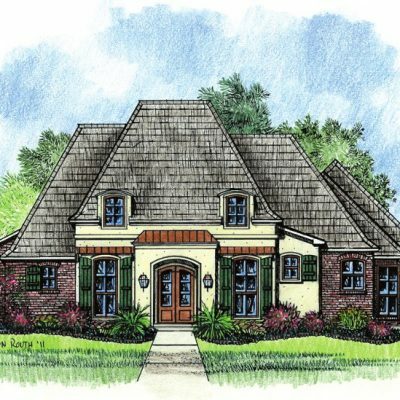 This house plan is sure to delight you every time you step into your new home.